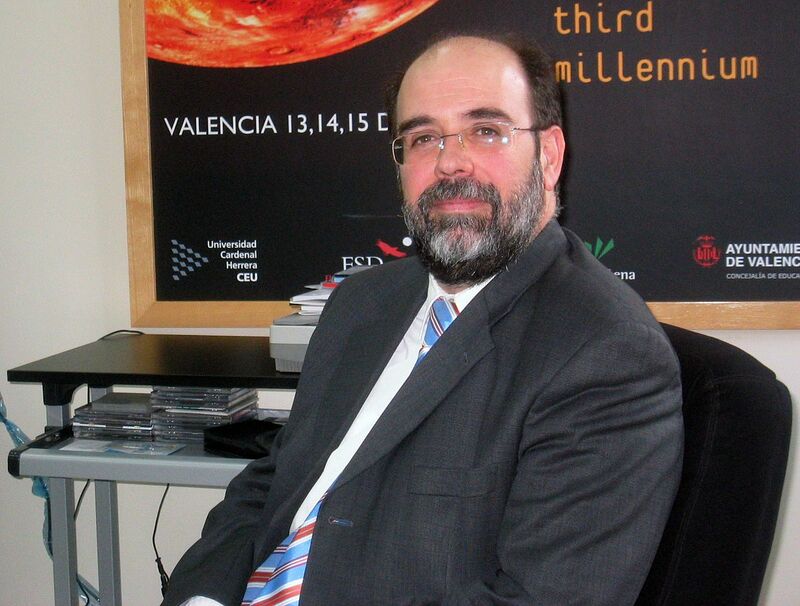 Francisco Javier Romero is professor of physiology and Vice-Probost for Research and Development of the Universidad CEU-Cardenal Herrera, Spain. Doctor degree (Ph.D.), University of Valencia, July 1985. Alexander von Humboldt Research Fellow, Institute for Physiology and Pathophysiology, University of Mainz, May-November 1995, June-September 1997. 'Gastprofessor' at the Institute for Physiology and Pathophysiology, University of Mainz, May-June 1999. Coordinator of the Public Research Council of the Regional Valencian Government, 1998. Salom D, Diaz-Llopis M, Garcia-Delpech S, Udaondo P, Sancho-Tello M, Romero FJ (2008). Aqueous Humor Levels of Vascular Endothelial Growth Factor in Retinitis Pigmentosa. Invest Ophthalmol Vis Sci. Epub ahead of print. Diaz-Llopis M, García-Delpech S, Salom D, Udaondo P, Hernández-Garfella M, Bosch-Morell F, Quijada A, Romero FJ (2008). Adalimumab therapy for refractory uveitis: a pilot study. J Ocul Pharmacol Ther. 24, 351-361. Chronic alcohol feeding induces biochemical, histological and functional alterations in rat retina. Free Radical Biol. Med. 43, 1494-1498. Low glutathione peroxidase in rd1 mouse retina increases oxidative stress and proteases. Significant photoreceptor rescue by treatmentwith a combination of antioxidants in an animal model for retinal degeneration. Lutein effect on retina and hippocampus of diabetic mice. Free Radical Biol. Med. 41: 979-984. Selective impairment of hippocampal neurogenesis by chronic alcoholism: protective effects of an antioxidant. Proc. Natl Acad. Sci. USA 100: 7919-7924.